Most restaurants prefer to hire entry-level workers who have had the proper hands-on training of and kitchen work experience. Others may look for employees who have been supervised by an experienced professional. Luckily for career-minded food nerds, a diploma in the culinary arts covers both of these requirements. Unlike a bachelor’s degree which has a much more detailed curriculum, a culinary diploma focuses more on the basics of food preparation, safety, sanitation, and nutrition. Compared to a bachelor’s degree, a diploma in culinary arts is the quickest way to train for a job in the food business. 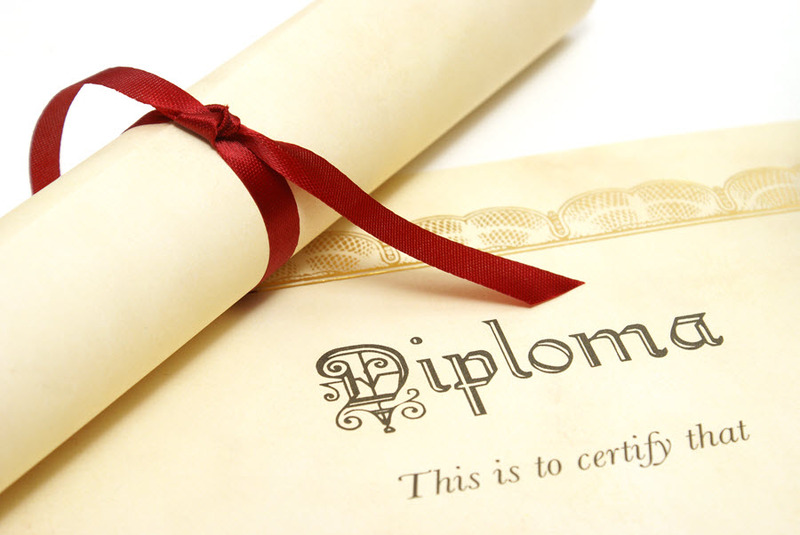 A diploma generally takes one to two years to complete, however this depends on which school and program you choose. Some schools offer weekend or evening courses which can be completed in 21 months. Investing in a diploma requires a lot of research because there are so many programs to choose from a variety of different trade/technical schools, universities, and community colleges. For example, at the International Culinary Center in New York, students learn about restaurant management, food writing, pastry arts, and even Italian cooking. At the International Culinary School of California in San Francisco, on the other hand, classes are focused on wine, spirits, and beverage management. Being a professional cook not only requires a lot of hands-on training and experience, it also requires a lot of knowledge. Besides cooking food, it is important for a professional to have a basic understanding of what a body needs for breakfast, lunch, and dinner in terms of energy and nutrition. This program covers all of the basics from health codes and regulations to menu planning and culinary theory. Students learn how to use broilers, stoves, and various other types of kitchen equipment, as well as how to properly store food. Graduates may also focus much of their time on cold food preparation such as platters and hors d’oeuvres. Being a baker isn’t as easy as it sounds, which is why most graduates of this program start their baking career as an apprentice or assistant. This type of diploma focuses heavily on chemistry and how to work with temperature. Students will learn how to use different types of equipment and are taught the basic techniques of kneading and dough hydration. After completing this program graduates will have a basic understanding of how to work with egg-based desserts such as bread pudding and soufflés. Other than learning the sweet skills behind baking and pastries, students learn about purchasing, quality control, and other tricks and techniques needed to work for a successful catering and/or restaurant business. From creams and custards, to frosting and fillings –there isn’t one sweet not included in this diploma. With more of a traditional focus on how to bake and prepare desserts, students will learn how to work with different types of dough, yeast, sugar, and butter. This program also has a much more narrow focus on wedding cakes and artisan breads. Graduates of this diploma program will learn how to open and run their own successful business. Much of the curriculum is focused on how to meet a customer’s needs while providing excellent customer service. Students are taught the basics of how to manage different types of staff, such as hosts or bartenders. Students will be also able to sharpen up their knife skills and learn how to prepare various foods such as the different types of meat, seafood, breads, soups, and vegetables. With a combination of modern and traditional techniques, students will learn the know-how’s of planning a menu and presenting food on a plate, as well as the difference between proteins, vitamins, and minerals. Some programs may choose to educate students on French cuisine. Besides understanding the basics of how to own and manage a successful food and beverage company, students will also focus on how to train and manage bar, kitchen, dining room staff. After completing this diploma, students will understand the different terms of technology used in restaurants and bars, how to organize seating arrangements, and how to manage and control food and drink supplies. Students may also learn the basics of hospitality, sales, accounting, payroll, as well as how to market their restaurant. This type of diploma program teaches students how to become a successful staff member in a group setting. Along with working for the typical culinary institutions, graduates could also find work as a head waiter or host in a restaurant. Students will learn about food and line preparation, how to properly clean tools and equipment, and the different types of culinary terms and meanings. Students may also learn how to deal with supply, inventory, and all the nitty-gritty details involved with running a successful food business. Some interpersonal skills are taught as well, such as how to properly manage and lead a team while providing customer service. The Catering and Gourmet Cooking diploma tends to have more of a focus on creativity and table service. Graduates of this program tend to find work in commercial restaurants; however, some may also run their own catering businesses. Unlike other diploma programs, students will learn how to be creative in preparing food for social events, private parties, and restaurants. Students will also learn how to keep food warm for a long period of time, train employees, and prepare meat and fish. This diploma is also a great way to learn the current popular food trends and cooking equipment. Besides learning the basics on how to cook in a hotel or restaurant, students of this program will be trained with various organizational, time management, and problem solving skills. Students will learn how to properly present food and various other cooking skills such as how to hold a knife or decorate a cake. Kitchen preparation and how to successfully manage other employees may also be included in the curriculum. Graduates of this program will not only learn about multiculturalism and the history of international cuisine, they will also work with yeast products and even learn how to taste wine! This program has more of a hands-on focus and teaches students how to prepare different types of breads and desserts in a time efficient manner. Students are taught the proper use of temperature and kitchen equipment, as well as how to measure and mix different types of foods. Some of the many types of food used in the program include tarts, ice cream, pies, scones, breads, pizza, and croissants. Students will also learn how to prepare fillings and decorate desserts with icing, and may also be required to critique food using their pallets. I’m inviting you to exploite this priceless market..and work with you and organise all the preliminary work…and invite yr company decision makers to to come and discover the market and make appropriate conditions.. I AM 18 YEARS OLD AND INTERESTED IN STUDYING CULINARY ARTS. I WOULD LIKE TO GET A BAKING AND RESTAURANT MANAGEMENT DIPLOMA. COULD YOU PLEASE HELP ME FIND A SCHOOL/COLLEGE IN SPAIN THAT COULD OFFER THIS COURSE IN ENGLISH. Sir I want to know about the fee structure!! Hi, this is Keith, I’m 22 years of age and I want to make a career as a professional chef, I have not yet enrolled for any professional training school yet, Italian, Moroccan Mediterranean Cuisines interest me a lot but I’m looking forward to study and well as work, can you please suggest some professional schools who would allow me to do so? email me the fees for culinary diploma,wen it starts and what the requirements are.